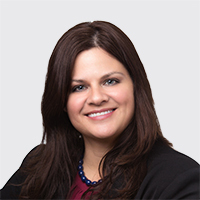 Linda Bryan became an Associate Partner with Mullen Filippi in July of 2014, shortly after joining the Mullen Filippi Orange Office in March of 2012. She began her practice of law in 1998 in San Diego, CA, where she practiced in the area of Civil Litigation. She then moved to Orange County in 2000 where she focused on workers' compensation law exclusively. Since then she has successfully defended the rights of Employers, Insurance Carriers and TPA's up to and including at the Appellate Level, and has obtained her Legal Specialization accreditation for Workers' Compensation Practice. Linda Bryan earned her Bachelor of Arts degree in History, with a Minor in Art, at Purdue University, West Lafayette, Indiana. She also had the honor of Studying Abroad at the prestigious St. Andrew's University located in St. Andrews, Scotland where she studied Philosophy, Anthropology, and History. She then moved to San Diego, California where she began her study of law at California Western School of Law, graduating with a Juris Doctor Degree in 1997. Linda is a member of the California Bar Association. In my career, I’ve discovered that the pursuit of the "truth" in every situation is key to successfully defending any workers' compensation claim. Once you are aware of the specific factors that are driving your claim you can best situate yourself to design a successful defense. One of my passions is photography. I love to capture the beauty that surrounds us everyday. I find beauty in almost everything, even scenes that may not at first glance seem appealing. I like to believe that I am able to use this in life as well, which helps me find unique and unusual solutions to problems that are presented to us every day.